What a great night and dinner at A16 yesterday! Between the Cantine del Notaio dinner/tasting and Benanti dinner/tasting, there was a WHOLE lot of great wine being poured. 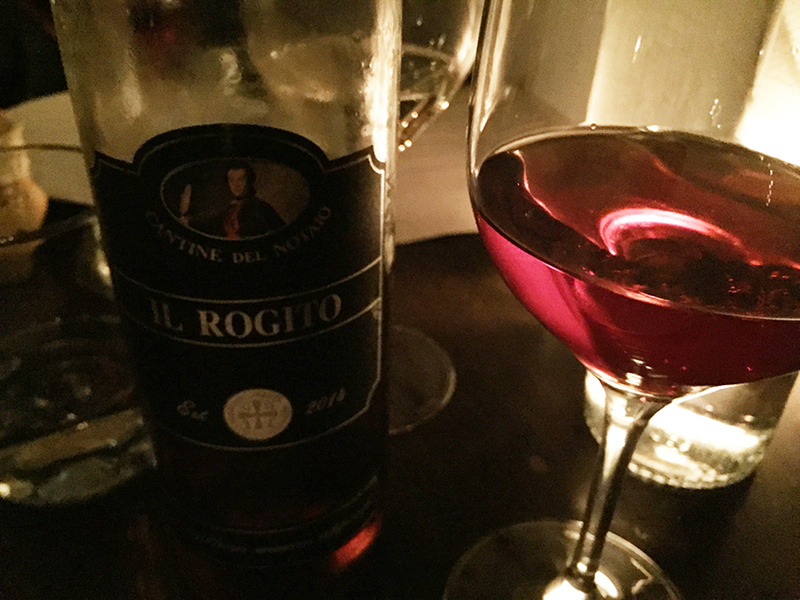 I LOVED the rosé from Aglianico that the folks from Cantine del Notaio poured my table (above). And I loved what manager Patti Robison told me: “It’s the battle of the volcanoes,” she said giddily, referring to the volcanic soils of Mt. Vulture (Notaio) and Mt. Etna (Benanti). I’ve never had a bad meal at A16 but last night’s dinner was really outta sight, especially the acqua pazza seafood medley, which went great with the rosé. 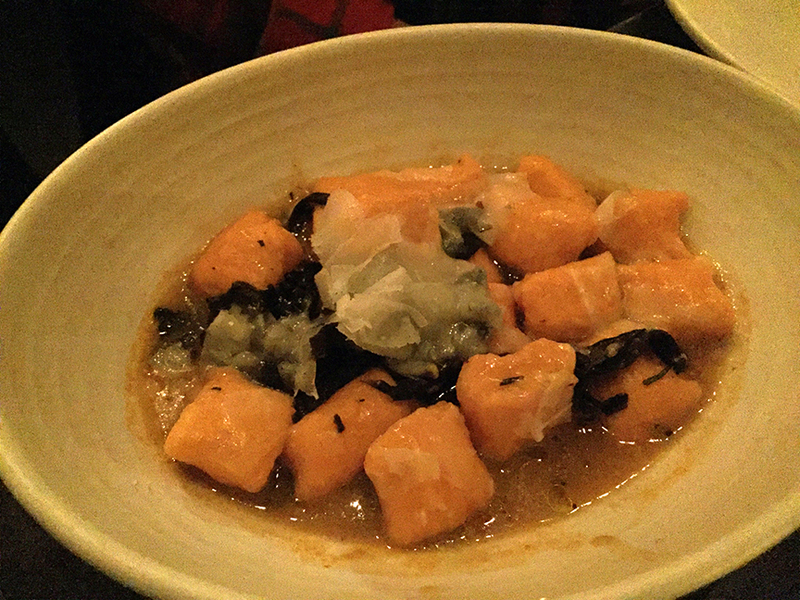 Those are the pumpkin gnocchi below, also delicious and light on the palate. How many years has A16 been open? I’ve never seen it anything less than completely packed and I’ve never seen the staff skip a beat — ever. What a great place… and it just keeps getting better. Thank you, Shelley and Patti, for everything you do for Italian wine. Last night was just super! I believe A16 opened in 2004. Food and win and service is terrific, only thing is that it gets a little too loud in there when packed. Bad acoustics, but maybe it’s been modified since I was last there.